Experimentation gone well with OpenStack Cloud from public cloud to virtual private, now something towards Software Defined Infrastructure. Intel continues the path of Software Defined and automation, presenting a software for monitoring the performance of the nodes OpenStack Cloud. Software Defined Infrastructure can only be realized faster if we think from the current state OpenStack. 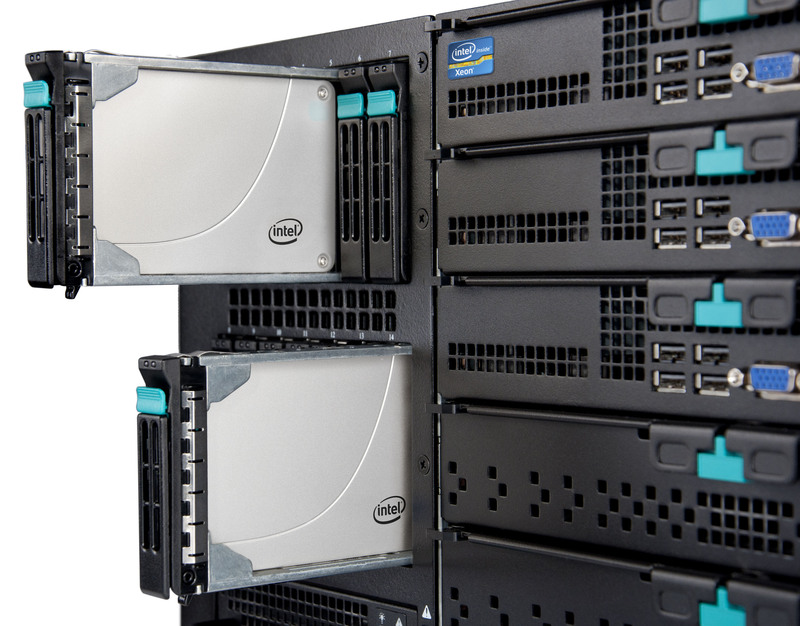 Intel has expanded the pool of tools that operate within the Data Center Manager suite, the proposed Data Center Infrastructure Management solution proposed is part of the KVM Gateway. This time, the tool will be dedicated to the management and control of the machines hosted on the open source OpenStack cloud platform. The new component of DCM was initiated by Intel under the trade name Service Assurance Administrator (SAA) and can be installed as an agent on each node of OpenStack to monitor the performance through an index that expresses the number of instructions per second that the node is processing. Please note that, EMC also has another close named product – Smarts Service Assurance Manager. The component also includes other features specifically designed to manage the computational capacity of the node and the safety of the OpenStack environment. The sales policy of the component will follow the philosophy of all the other tools associated with Data Center Manager suite, so one can buy the new tool both from Intel directly, or through a network of partners – both from third-party vendors, at a cost of about $ 200 per server per year. Intel, which has helped and supported OpenStack since its inception, participating directly in the drafting of the code of the open source cloud, had promised that it would release the code developed for the SAA to the community component of OpenStack. This promise, however, has never been maintained and, according to some rumors, the publication of the code would be made difficult to access in to the depths of the logical component of Intel processors. The acquisition of these skills by unauthorized personnel could create problems of intellectual property and indeed, serious security problems for users of Intel processors might happen. Despite this problem, the SAA component is an utility that works perfectly with OpenStack, as Intel itself is part of the ecosystem of OpenStack, as officially said. The idea pursued by Intel with the release of this tool for OpenStack is to provide the IT administrators a way to ensure that the users’ cloud computing infrastructure is working properly and accordingly to the expectations. A primary purpose of this there is also the desire to provide greater security in the use of the platform to the enterprise users, Intel has always been a bit reluctant to adopt OpenStack in production, especially as they are concerned about the safety issues that could arise from an open source product. With SAA, Intel offers a tool that can monitor the performance of each node OpenStack in relation to contracts for the SLA, bringing the use of open source cloud computing platform at a much higher level and also suitable for use in environments most demanding enterprise. With the addition of SAA to the DCM suite, Intel continues to proceed at a fast pace in providing solutions for software defined that is allowing the IT administrators to embrace the concepts of precise control via software of the underlying hardware levels, with increasingly important levels of depth and abstraction, this approach ensures the realization of data centers that will meet the modern criteria of automation. This Article Has Been Shared 2531 Times! Cite this article as: Abhishek Ghosh, "Intel’s Monitoring Software for OpenStack : Expanding SDI," in The Customize Windows, June 2, 2014, April 19, 2019, https://thecustomizewindows.com/2014/06/intels-monitoring-software-openstack-expanding-sdi/.